Across New Jersey and the U.S., Steri-Clean has been helping people who struggle with clutter and hoarding for over 2 decades. We take a different approach, where the human factor comes first. Every plan is not the same, in fact no two plans can be the same, because no two people are the same! This is why we have successfully cleaned over 10,000 residences, and helped our customers maintain it once it is cleaned. Our first priority is to actually HELP our New Jersey clients, not make their situation worse. For this reason, we don't advertise on our vehicles. All of our vehicles are plain white and unmarked, or have a simple Steri-Clean logo, with no mention of clutter or hoarding, for discretion. We work at their pace, completely removing the fear, anxiety and stress that most people think is inevitable. If you truly want to change, we will make it happen. We are blessed and truly thankful to have not just helped people clean their homes, but help them regain control of their lives. Hoarding is not caused by laziness. 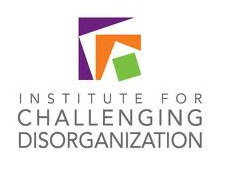 Hoarding is typically a complex issue with many underlying layers. It is important that we realize how to allow our customers to remain in control while we help them unravel all the layers. This will not only allow the best progress at restoring functionality and safety to their home, but will also allow them to work on the many underlying issues that cause the hoarding behavior in the first place. We understand the position our New Jersey clients are in and will provide everything they could need for a fresh start. Contact us today and start the road to recovering from this debilitating lifestyle. 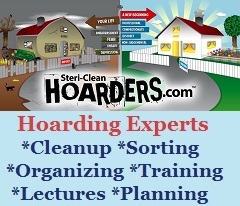 Cory Chalmers, President/CEO of Steri-Clean, International Speaker/Trainer and Hoarding Expert, and host of A&E's Emmy nominated series "Hoarders"
***Steri-Clean is a combination of both corporate owned and franchise locations.